Manufacturer of a wide range of products which include asphalt batch type mixing plant and asphalt batch mixing plant. We offer wide range of Asphalt Batch Type Mixing Plant. We are manufacturer and exporter of asphalt batch mix plant. We offer this batch mix plant in different requirements and can be customized as per the needs of the clients. We are an outstanding manufacturer of a broad spectrum of Asphalt Batch Mixing Plant, which produces numerous varieties of road stones, including asphalt, concrete and macadam. 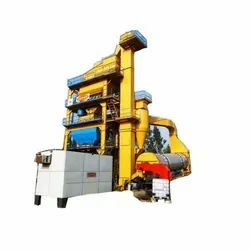 Capious is India's leading manufacturer and exporter of road construction plants like asphalt plant, asphalt batch mix plant, asphalt drum mix plant, asphalt mixing plant, wet mix macadam plant, bitumen sprayer.